For RTNX 2007 they were having us paddle an inflatable kayak known as the Tomcat Tandem. The reasoning was that they could access so much more terrain by simply deflating these boats to transport them, rather then needing a full kayak trailer and trucks to do so...these boats proved to be the mental undoing of just about every individual in the entire event! At 6am we were off. A short run down to the beach, into our inflatables and off on a 20km paddle. The Tomcats have a limited hull speed of about 6-7km an hour, so many were under the impression that the boats would be a non-factor in the event...we were about to prove otherwise. Within minutes we were witnessing teams disappear on us into the horizon. 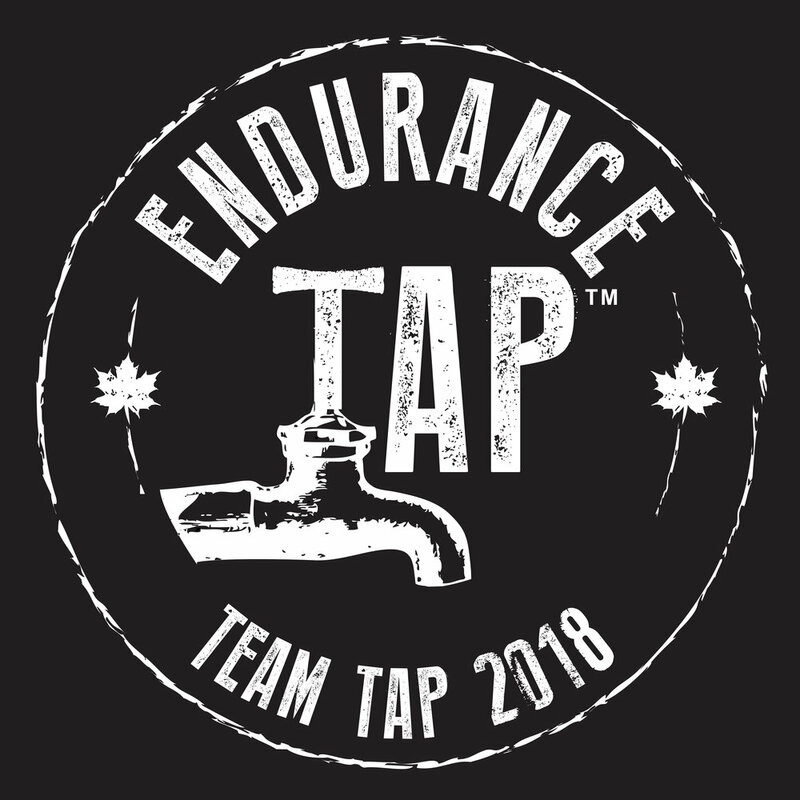 My team is not the strongest paddling team, but I would easily give us a top ½ of the pack, if not top ten ranking in terms of where we should have fared. As the hours ticked by we struggled to keep our focus as teams were effortlessly dropping us. We still had 1/3 of the paddle to go and we were already in dead last! There was no explanation, it made absolutely no sense to us and no matter how hard we tried we simply could not get our kayaks to go any faster. There was a logging road that followed the shoreline for about five kilometers into the first transition. After continuously staring at the beach and realizing that we could effectively crawl faster then we were paddling the decision was made to get the hell off the water and try to salvage the stage before it was too late. As mentioned we had a custom set of wheels constructed for just this purpose and we felt that if we could be efficient at our switch over from paddling the boats to towing them, that we could run into the transition and most likely surpass some of the teams still on the water. We pulled off onto the beach, bushwhacked a hundred meters to a logging road and went about setting up our towing device. It was perfect, we were ready to go in minutes and I could feel the excitement of the team to be off of the water and on dry land again. I grabbed the tow and tried to run...it was nothing like the feeling I had the night prior. Sure there was twice the weight, but it felt more like 10x the weight of the one boat I had practiced with. We made it about 300 meters before the entire set up collapsed! The light weight aluminum folded in half, and the boats were now touching the ground on both ends of the center aligned wheels! We had to unload everything and redesign our loading procedure. It took a few minutes but we managed to stabilize the set up, along with removing the extra weight of our paddle gear (wetsuits, PFD's, paddles, food n fluids, etc), that was now being distributed amongst the team. I tried once again to tow the boats and again struggled to get the wheels to actually roll. The set up had a small bushing type wheel and unfortunately we seemed to be exceeding the maximum weight limit. The wheels were buckling and the friction was making everything feel just as heavy as it actually was. I was now towing a 120 pound trailer and my teammates were carrying 100 pounds of gear...our progress was slow to say the very least. "Oh Team Helly Hansen, we were starting to worry about you!" "So we are dead last right..."
"How far back of the leaders?" In five hours of racing we had lost two hours to the leaders...we were in complete shock! DEAD LAST, TIME TO RUN! We had a quick transition and went about running the first 12km of the trek until we would reach the entrance to the actual bushwhack. In the process we managed to catch and pass three teams, which brought us from 23 rd up to 20th. After the 12km run you had to cut off the main trail and find yourself the best route to the peak of a mountain, then come back down that mountain into the valley below, before heading right back up another mountain on the other side, and finally descending the opposite side of that rock face back to sea level and the second transition to the bikes...it was the perfect terrain for my team to get back into the race. We saw very few teams in the bush, and by bush I mean exactly that. If you want to get an idea of what we were facing, go to your favorite trail head, trek 200 meters in a 90 degree angle to the trail itself and then follow this terrain until you reach the end of your favorite hike or run. If your home terrain is not filled with tight trees, mud pits, river crossings, dead fall, bog, snow and exposed rock then you are getting off easy! There were absolutely no trails in this terrain...I loved it! From sea level we climbing to our first summit at 3500 feet above. There was a team just ahead of us that we passed on the last pitch and out of curiosity we asked them if they knew what position they were in. In five hours of trekking we had surpassed seventeen teams...we only crossed paths with five of them! We were right back in the game and now passing this team put us in the sixth place position. There was an instant jump in our step, and we were off and running down the mountain! We shot back down the peak and into the snow we had just traversed up. This was followed by a harrowing scream. Megan went down hard and had tears in her eyes instantly. She had folded her ankle while traversing the snow pack and was unable to move for a minute. All we could do was offer her a bandage and hope that she would be able to recover. I knew she would tough it out and within a minute she was up and going again. She later commented that the snow seemed to freeze her ankle for the next hour until it felt better. We hit an open patch of snow and went about 'skiing' it down in our shoes...well I skied it, my teammates slid down on their butts...it was a blast, but we were back into the valley and tight terrain again in no time. It is not normal to get stage time estimates from race organizers for events such as this, but they had included them for us when the original course was flooded out and they had to redesign everything in a matter of days. The time estimate for this first trekking leg was 5-10 hours. I know that my team can trek with the best of them and I packed 7 hours of food, figuring I could go without for a few hours if necessary. We were not even starting our second climb and we had already been out there for 10 hours...I had 200 calories left! We quickly realized what we were in for and started rationing what we all had on us, which was basically nothing. I ended up with about 25 calories an hour, for the next four hours, which was absolute torture on my mind and body. Hour by hour passed and we trekked onward and upward, my entire being screaming at me to nourish it, to indulge in my last 100 calories and forget about holding out for the rest of the trek. Eventually, one small bite at a time, we all ran out of food. There was a recommended 'way point' on the course, which meant that the race had given us a bearing that they felt would be the safest route for us to follow. There was no checkpoint this far out so all they could do was recommend that we follow it for our own good. I am quickly learning that in expedition adventure racing loosing a few minutes can add up to loosing a few hours in a heartbeat. We reached this way point saddle at 11:15pm, right at sundown. The fastest route that we had initially scouted on our maps would take us up and over the ridge line, but now at nightfall that route was effectively out of reach for safety reasons. We had about 45 seconds to crest the saddle and try to scout a safe route down the opposite side before the sun completely set on us. It looked best to traverse left into a clearing that seemed to lead swiftly down the mountain side. We pulled out our headlamps and ended up spending the next four hours getting cliffed out, retracing our steps, holding onto tree roots, sliding down snow patches, crossing rivers, and scrambling down rock faces...all to loose just 400 meters in elevation. Arriving at the saddle at sundown had cost us the entire night. Once we surpassed the 400 meters of elevation loss we were back into the tight dead fall forest floor and some terribly slow bushwhacking...but we were safe and moving, which was more then we felt the teams behind us would be able to accomplish. The night was agonizing. The trek seemed to go on forever and my body was becoming more and more inpatient with my refusal to fuel it with anything. I don't know how we managed on so little. We popped out of the forest and back to the ocean at 6am. We had crossed a dozen rivers, and some of them were only passable by finding a fallen tree bridge to do so. We had been without significant food for 12 hours, without any food for most of the night. The 5-10 hour trekking stage had taken us 20 hours. What had happened to other teams? "What place are we in?" We were all in shock, which was followed by immediate concern for every team behind us. We all devouring our food at the T.A. and were then hit with some unexpected and unfortunate news. Although we arrived in 5th overall, which we were all quite proud of considering our horrendous paddle section, the top four teams had come in at least five hours ahead of us and the first place team was in 10 hours ago!!! Team Sole, one of the best in the world, just annihilated the course. Due to the spread out field, and the official stage cut-off of a ferry sailing in three days, they had no choice but to short course teams coming in after the top four...the race wasn't even 24hr's old and the top four were untouchable. All they had to do was finish and they were guaranteed their top four placing. This was an unexpected course cut-off as no one anticipated the initial bushwhack to take so damn long. The team was now fighting for all that we could, a fifth place overall placing. While in transition the 6th place team caught up to us, Playground Bullies, captained by Dave Zeitsma, who started the F.A.R. (RTNX) organization back in the 90's and was one of the top known names in Canadian A.R. at the time. Admittedly his team was not the fastest, with his fiance racing her first expedition, but as we all know by now, it is not always the fastest teams that succeed in this sport and Dave had a decade of experience to draw from. We knew it would be a tightly contested battle for fifth. Intrepid Travel, from Ontario, who were also a very fast and experienced team were still not accounted for and until we later learned that they had descended into the wrong valley and were forced to drop out of the event, we kept telling ourselves that they would be pushing hard to catch us as well. We had an efficient 45km mountain bike stage that lead us back to our initial starting point and another water stage. Upon arrival the water was thrashing about, with high winds hitting the coast. We had intended to sleep for 45 minutes at this point in time anyways, with our tents being right there. We jumped in and started dreaming within seconds. Less than and hour later we peeled ourselves out of the tents and thankfully the water had subsided enough for us to feel safe enough to tackle it. "Are we actually moving forward?" "Not sure, just don't stop!" The winds were whipping so hard that I had a serious fear of my paddle being ripped right out of my hands and tossed into the sea a few hundred meters from me. I made sure to hold on tight with every stroke. We eventually hit dry land and once again set up out kayak tow. There was an 8km section of road to the next checkpoint. Initially we were under the impression that we would have 5km to cover and after almost three hours of towing the boats I vowed that I would never do it again with our current set up. The 40km kayak tow was out of the question and we were very fortunate to have figured that out in advance. We hit the C.P. Fully expecting at least one team to have caught and passed us but were surprised to learn that most teams decided to stay grounded when the winds picked up behind us. Even with our pathetically slow trek with the boats, we had managed to lengthen our lead! We were starting the second big trekking stage and due to our short course status we were now ahead of the entire field of racers. We were told that 'Yukon Wild' were just a few hours behind us (having completed a longer course) and the team went about trying our best to hold them, and any other teams at bay. There was a forest service road approach of about 16km which we ran to the start of the hiking trail. By this point we were once again into nightfall and the navigation was becoming a bit tougher. We made our way to a marked trail head and flagging tape that lead into the forest. The flagging tape disappeared at a river crossing. We were informed that the entire hiking trail was flagged to the top. I crossed the river, scouted it out and could find absolutely no evidence of a continuing trail. We back tracked, confirmed our position and spent almost two full hours trying to figure out where this trail could be. Eventually we settled on letting the teams behind us catch up so that we could work together. Also, if they did not show up then we would know that we had gone wrong. Yukon showed up within minutes and together we went about the very same thought processes that my team had encountered over the last few hours. We headed back to the same flagged river crossing and both teams started searching for a trail...nothing. Then we went about trying to find alternate routes up the mountain and basically trying to alter the maps to fit our situation. We found one additional road, but it petered out to nothing and both teams stood dumbfounded at our location. Me to my team, "C'mon, I'm pretty sure I know where it is, let's go." We headed back to the very same flagged river crossing and I told my team to take a load off and close their eyes for a few minutes. I was convinced that the trail had to continue at some point on the opposite side of the river and I attacked the forest with a vengeance to find that damn flagging tape. There was a huge fallen tree on the other side of the river and I had to maneuver around it and then started scrambling up the slope all the while flashing my headlamp back and forth trying to find evidence of a trail. I had climbed a few hundred meters before I found it, the actual path. I made sure to follow an additional six flags before turning back to follow them down to the river itself. It was flagged right to the water...but the flagging taped was spread out so far on the water that it was impossible to see that far up stream with your headlamp at night. I gathered my team and told them we had to move. The dawn was upon us and as soon as it brightened up that section of flagged river crossing would be blatantly obvious. With each additional team it would become more and more of an elephant path...we had dropped another 3-4 hours...yet no team had passed us. As the day brightened, with rain, we found ourselves on a seriously steep climb up a mountain side to the tallest peak on the island. There were ropes along the way to assist in some of the more precarious areas. About 2/3 of the way up we came out of the forest and onto the snow pack. We were indeed able to confirm that we were the first team up as I was breaking tracks in the snow the entire way. The team worked hard and stopped minimally on the climb and we were on the saddle, completely socked into clouds in no time. We were unsure of which way the actual summit was and initially proceeded the wrong way, until the winds came whipping through, in the process taking all of the high cloud cover with them. In under five minutes we went from being unable to see our teammates in front of us to huge sweeping panoramic views out over 'floating peaks' above the clouds and even the ocean in the distance! It was spectacular and a big boost to our energy levels after working so hard throughout the night to get to that point. Everyone was soaking wet and freezing cold. We could do nothing but press onwards and upwards. We had just enough time to snap a quick photo on the peak before we were able to spot a line of teams coming up the slope just below us. As predicted, any teams hitting the trail in the day break were able to continue unobstructed throughout the entire trek. Playground Bullies, the sixth place team, were the first team we doubled back on...they had made up over four hours on us and had slept in the process as well...experience, experience, experience. This is not a sport for the young, inexperienced, or impatient...you have to fight at it for years to be successful...at least that's my perspective to date. We ran down the entire snow pack and it was a big descent until we hit the roots and mud again. Everyone loved it and people were yelling and laughing like kids along the way. By the time we hit the first rope back down we had seen, Playground Bullies, Yukon Wild, Sole, Dart-Nuun and a handful of others. Yukon and Sole were leading with Dart-Nuun being just under 90 minutes behind. My team descended as quickly as possible as we were trying to prevent Sole and Yukon from passing us along the way. We managed to fly back down the mountain and hit the transition area still in first (5th), but Sole and Yukon came in just behind us, having put 10-15 minutes into us in the process! This was exactly the motivation the team needed. The top teams were right next to us and we wanted to prove to ourselves that we could at least hang with them for a bit. We had our best transition of the entire event. Sole hit the water first, Yukon just two minutes behind and as Yukon were launching their second kayak we were transporting our first to the beach. The right side of the inflatable kayak no longer existed. "WHAT THE F#$K WAS THAT!" "Gary the camera's are on." "I DON'T CARE ABOUT ANY F#$KING CAMERAS RIGHT NOW!!!" Our boat had a four inch gash in the side of it...it had effectively exploded. The beach we were launching off of was an old logging camp, it was low tide and the ground was covered in old bits of iron. There was a three inch spike sticking straight up from the sand below, it had been there for years and was completely disguised amongst everything around it. I tried to grab it and throw it but it was completely solidified into place. I could not believe what had just happened to us. We spoke to race management but they said that if we accepted a new boat we would be disqualified. Our only option was to try and fix the boat ourselves. Luckily there were a few local fisherman handy who were kind enough to help us out. The patch kit that came with the kayaks was useless and the locals had much better materials to work with. We initially had to sew up the exterior of the raft and then place a patch on the inside bladder portion of the boat. The rip was very near a seam and a terrible place to try and fix. It took us five hours to get back on the water, and even then we were leaving before the patch had completely sealed. We were initially launching at 10am, it was now 3pm, the cutoff for starting this stage was 4pm and we had lay powerless as team after team caught and passed us in this transition. We had opened up over a ninty minute lead on sixth during our run down the mountain, but that was all gone in a heartbeat...again. We set out to paddle the longest stage of the race, a 35km ocean section. In any type of kayak that woud actually glide, or was designed for paddling you would not even flinch at this distance, yet with these inflatables we were facing a 10-14 hour paddle, depending on tides, winds and swell.Instead of tackling it during daylight, we were heading into the night. We were 20km in, having taken about five hours to cover this distance. The ocean wasn't too bad and we were making decent time, although once again, teams were effortlessly passing us out there. These boats really were the death of us in this race and we unanimously agreed to never, ever register for another race that even thinks about using these boats! Our patch work was holding up decently well, yet there was a slow leak that we had to beach ourselves to pump up every few hours. It was one of the most mentally destuctive things that I have ever had to suffer through. Putting in so much effort, for so little return. Glaring at the land and realizing that given any type of trail or road we could walk backwards faster then we were moving on the water. I had just spent ten minutes telling myself that I was a prisoner of my kayak for at least another five to six hours and to just freakin deal with it. In the grand scheme of things, this was a blink of an eye. All of a sudden Todd started complaining about feeling sick. He said he wanted to puke, felt like he had a fever and was unable to continue paddling. We were utilizing a tow rope anyways, so we simply switched it around and told Todd to take a break and try to recover as best he could. It was 9:00 pm, the sun was behind the mountains and whenever Todd seised paddling he would start shivering. He alternated between a few paddle strokes and trying to relax, but he was continually getting worse. We could tell by Todd's own confusion at his situation that we had to head to shore and get him out of the kayak right away. It was not until we beached and Chris and I had to carry Todd, all 220 pounds of him, that I was confronted with the severity of the situation, he was completely out of it! We immediately stripped off his wetsuit and placed all of our dry clothes on him, which between the four of us was not even one full outfit! We then tucked him into our space blankets/emergency bivy's and placed him out of the wind. Chris broke out our emergency radio and tried to get ahold of Race H.Q. While Megan collected wood and I went about starting a fire. It was 9:45pm and the sun was gone, we were running out of lighter fluid and our situation would be greatly altered without a fire to rely on...for all of us were soaking and freezing. It was only the focus on Todd's situation that allowed us to forget about ourselves for a few minutes. Chris eventually found radio reception and called in our predicament. We located some 'Old Man's Beard' and the fire was raging in no time! We cut Todd out of our bivy's and tucked him around the fire. He was shivering, which was a good sign and within a few minutes we could see that he would be alright. For a very brief moment I swear we were all enjoying being on a beach, not racing, sitting around a camp fire and watching the moon rise over the nearest mountain range...someone even asked where the marshmellows were. The emergency staff showed up in under an hour, and we later learned that Todd's body temperature had dropped by over two degrees! We were very fortunate that we made the call to go to shore when we did. The radio's have a limited range and everything would have been complicated ten fold with a night sky and fallen temperatures about us. We were all at The Morseby Adventure Camp and around a fire place by 3am...it was completely surreal, I mean you go about destroying your body and mind for days on end to try and compete for a top placing in a huge race and all of a sudden, within a few hours we are sitting in front of a fireplace, eating strawberries and wearing someone elses clothes. Every single person I met on this trip, throughout the race, the volunteers, and in every township we passed through were genuine, down to earth, good whole hearted people who would do anything to help out a stranger. It was a touching experience to have met so many great people and it really reminded me of being back home in Newfoundland at times. We managed about five hours of sleep before they collected us in the morning to catch a ferry back to the main island. On the ferry crossing we were able to reconnect with some other teams and get their races stories for the first 3.5 day stage of the race. At 11pm we sailed into the night and back towards P.R. Everyone on board was asleep within minutes and like most I slept right up until the morning announcements at 4:30am. The boat docked at 7am and at 9am, from the parking area for the ferry, the final stage of the race began. It had been almost two full nights since Todd went down with hypothermia. He had been cleared by race staff to go again, and he seemed to be fully recovered. Team Helly Hansen/MOMAR agreed that we were racing for pride at this point. We needed to show ourselves what we were capable of and what could have been with a little luck on our sides.